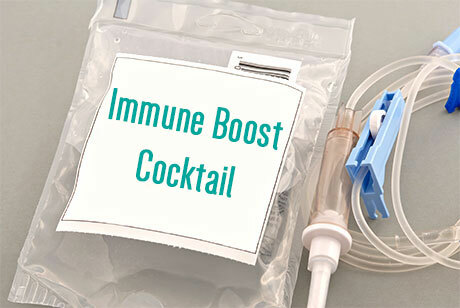 Everyone, regardless their health status, can benefit from intravenous (IV) nutrition. The cells in your body depend upon a variety of nutrients to fuel them for the production of energy as well as for all other metabolic functions. Recent research supports the use of IV therapy for general wellness and for the maintenance of health. Our custom infusions target a variety of wellness needs - from replenishing hydration to aiding in recovery from illness and disease. Give Holistic Medical Center a call today to see how you can benefit from our IV treatments. Typically seen in the hospital rooms, vitamin IV's have burst onto the wellness scene in a big way. People say they feel energized, clear headed and all around better after getting an IV infusion. 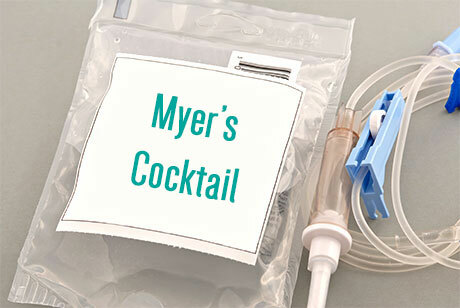 IV vitamin therapy has broad applications. It can be used both proactively to maintain optimum wellness as well as to treat acute and chronic conditions. The human body is a complex piece of biological machinery. It requires hundreds of different vitamins and minerals at the correct levels to function properly. Scientific evidence confirms that deficiencies in any of the essential nutrients can lead to a deterioration of one's overall health as well as to the manifestation of disease. IV vitamin therapy is the "science" of getting these nutrients back into your body and into the cells. It is a wonderful way of getting high doses of nutrients into your body at the cellular level. The nutrients are rapidly infused and delivered to the cells. 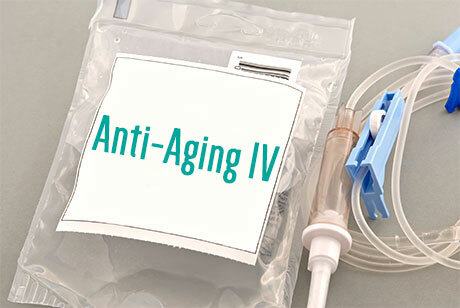 At Holistic Medical Center we offer a wide variety of IV's for a variety of needs. Check out our menu of "cocktails" and see which one you need most! This is the cocktail of nutrients that started us on the path to IV nutrition. It contains just the right mix of vitamins and minerals for overall wellness as well as for maintenance. This cocktail includes a special blend B-vitamins including vitamin B-12, Vitamin C, magnesium and calcium. Packed with high doses of vitamin C and Zinc as well as the other essential vitamins and minerals, this infusion is best for boosting your immune system. It will have you feeling better in no time and will shorten the duration of illness by attacking the problem. Life can be draining - the average American is "run-down" and fatigued. Replenish yourself with this energy boosting infusion which includes higher doses of B vitamins and magnesium as they are essential for the body's production of energy. Dehydration wreaks havoc on your body. When a person becomes dehydrated, water, electrolytes and essential nutrients are lost from the body. Replenishing the lost electrolytes and fluid allows the cells in our bodies to function properly and maintain energy and stability. Our hydration IV restores the body's hydration to it's maximum level by restoring the essential fluids quickly and effectively. This IV best suited for athletes or anyone dehydrated from illness, jet lag or hangovers. Glutathione might be one of the closest things we have to a fountain of youth because of it's extremely powerful antioxidant properties. It slows down the aging process by quenching the free radicals in the body. Our anti-aging cocktail based on glutathione , vitamin C and biotin rejuvenates and hydrates the skin for a smoother , lighter, brighter and more radiant glow. Keeping the skin well nourished from the inside out is important in allowing the skin to glow naturally. This infusion makes the tissues more alkaline by raising the body's pH levels. Our body functions most optimally in an alkaline environment. An alkaline environment deters the growth of disease, foreign bacteria and viruses. Give Holistic Medical Center a call today to see how you can benefit from our variety of wellness infusions.